Check out the winners of 2008’s Pincushion Contest. 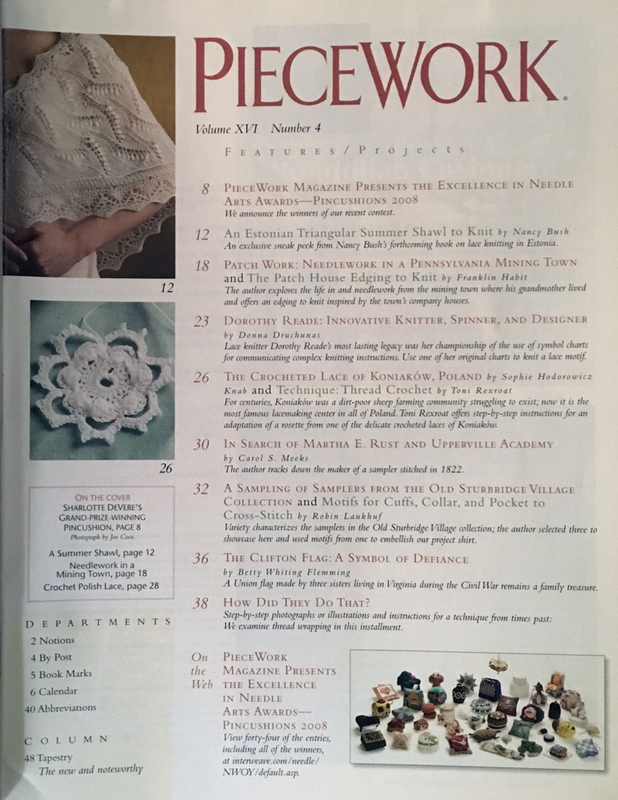 Discover the beautiful needlework from a Pennsylvania mining town. 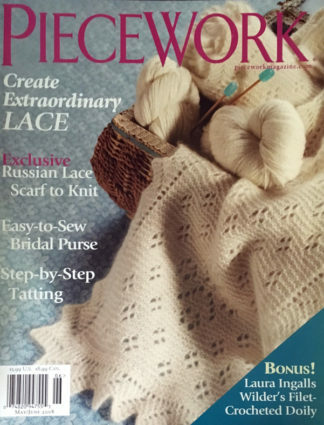 Crochet lovely Polish lace and knit an Estonian triangular summer shawl. 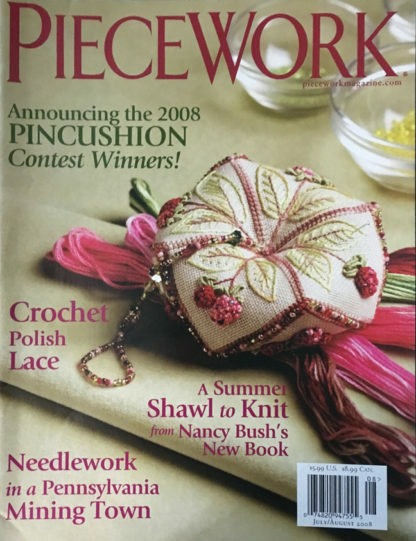 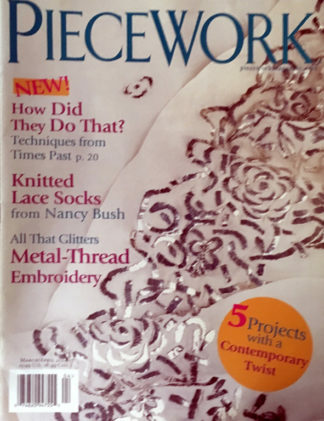 On the Cover: Sharlotte DeVere’s Grand-Prize-Winning Pincushion , page 8 Photograph by Joe Coca.